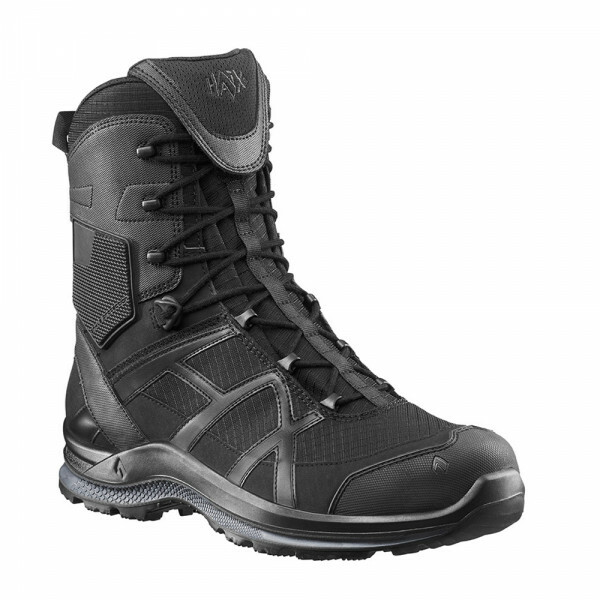 Product information "HAIX Black Eagle Athletic 2.0 GTX high/black"
Police officers, security staff and hikers spend a long time on their feet and frequently move across uneven ground. If you are involved in these or similar activities, you will need comfortable footwear that will not let you down inside or out. The HAIX Black Eagle Athletic 2.0 black GTX provides you with all the support you need to tackle different types of terrain and offers reliable protection to the feet. A slip-resistant sole ensures a firm grip on slippery, wet or oily surfaces whilst protecting against heat and preventing the penetration of moisture. These functional shoes are a worthy successor to the HAIX Black Eagle Athletic 10. A three-ply GORE-TEX® membrane lining makes them waterproof and highly breathable. No warm air is trapped inside, even after an extensive walk in hot conditions. 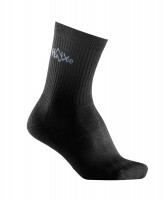 The HAIX Black Eagle Athletic 2.0 offers optimum climate comfort. A removable antibacterial insole diverts dampness and sweat to the exterior and thus makes sure that no unpleasant odours can arise. This keeps your feet dry at all times. The HAIX Black Eagle Athletic 2.0 can easily cope with any situation, including when external or internal temperatures are high. Many of us need to master wet streets, stony pathways and slippery ground in the course of our work or leisure time. 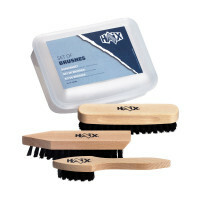 The HAIX Black Eagle Athletic 2.0 is highly slip resistant. A durable outsole made of a special rubber guarantees a firm grip, a strong base and good adhesion virtually anywhere. The shoe also features a bold tread for extra traction. A dual layer foam midsole gives optimum shock absorption by cushioning your steps as you walk. This reduces pressure on the joints. There is also a special inset to protect the heel and to stop you from going over on your ankle. The laces are tucked away in a practical pocket on the shoe and cannot therefore catch on stones or branches as you walk along. The Black Eagle Athletic 2.0 is a waterproof shoe which offers important protection for professional groups such as police officers and security staff. No metal is used in the manufacture of this shoe, which also features an outsole which prevents penetration of heat, cold, oil or petrol. An upper material in textile and micro fibre provides lightness and breathability to deliver comfort of wear. The Black Eagle Athletic 2.0 features a lacing system which enables smoothness of movement and avoids pressure to the feet. This makes for easy going, even over bumpy ground. All of these characteristics mean that the Black Eagle Athletic 2.0 is also very much a favourite amongst mountaineering and outdoor enthusiasts. The Black Eagle Athletic 2.0 by HAIX is a light shoe which consists of a breathable mix of textile and micro fibre. The fact that no metal is used in the manufacturing process also makes it completely antistatic. A special lacing system enables smoothness of movement, avoids pressure to the feet and ensures a perfect fit. A pocket secures the laces and stops them catching on any stones or branches you may encounter. The Black Eagle Athletic 2.0 comes in black and in oversizes. A three-ply GORE-TEX® membrane gives a waterproof lining which offers a particularly high level of breathability. Abrasion-resistant lining fabric offers optimum climate comfort both outdoors and in, especially in hot conditions. A foam midsole cushions your weight to guarantee the best possible shock absorption on rough terrain. The Black Eagle Athletic 2.0 features an integrated removable inlay sole which absorbs sweat in a highly effective manner. This provides an anti-bacterial effect and suppresses odours. A separate heel cup gives additional cushioning to reduce pressure on the muscles and joints. The sole of the Black Eagle Athletic 2.0 is made of a special rubber compound with an extremely long product life. It will not wear down easily, even with frequent use. The bold tread of the outsole offers superb slip resistance to guarantee a firm grip on any terrain. This provides reliable insulation against the heat and cold. The sole is also resistant against oil and petrol in accordance with the EN ISO 20347:2012 Standard. It leaves no ugly black marks on any light-coloured surfaces. The HAIX Black Eagle Athletic 2.0 gives comfort of wear across a whole range of different terrains. This is a light shoe with fabulous shock absorption properties to avoid any pressure on the muscles and joints. Wherever your professional duties or hiking trips may take you, your feet will remain dry in all weather conditions and you will retain a secure footing on hilly ground. The Black Eagle Athletic 2.0 is the new and improved successor to HAIX’s highly successful Black Eagle Athletic 10 weatherproof model. 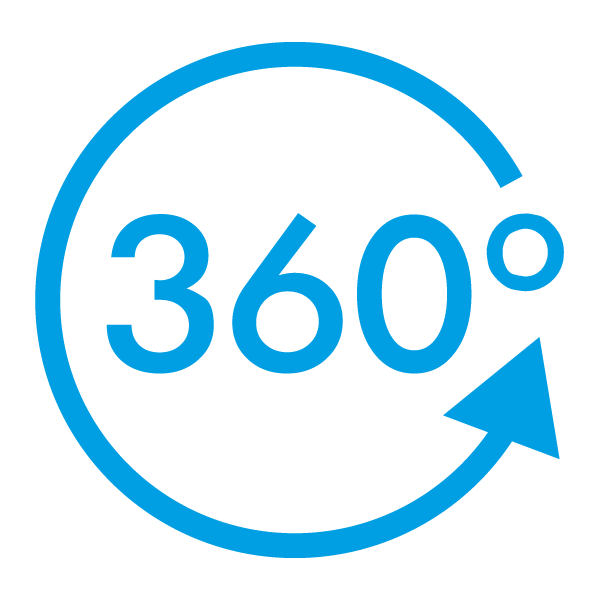 Try it out now!